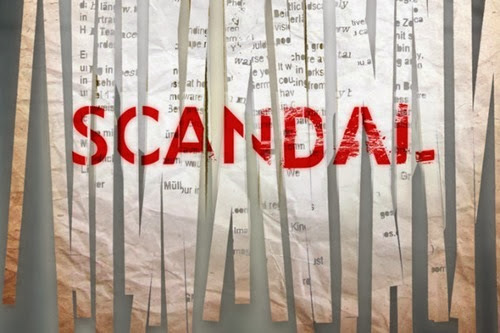 This week, Scandal once again turned away from it’s signature fast paced, non-stop story telling to focus on (almost) one story line, this time one that was straight from the headlines – a young black man was shot by a white police officer. Although she had just returned from her own kidnapping, Olivia was hired by the police to help control the situation. During the course of the episode, Olivia realizes she can’t stand by the police when she herself identifies with the father whose son was shot and the community that is effected by his death. Because although the show has not always made Olivia a character who is black before anything else, in this case she chose to side with the community. You know who understands the death of a son? The President of the United States, who because of his position, could not make a statement in support of Brandon and his father, Clarence. He was busy this episode finding a replacement for his Vice President, who is now incapacitated after his stroke. Being that he made a deal with Mellie that she will be the next President (even though she has no political experience or the ability to lead anything…) he needs to find a VP that won’t eventually run against her and win. Mellie suggests Susan Ross, the Senator from VA who Olivia previously helped win against Abby’s abusive ex-husband. She is awkward and says whatever is in her head without thinking – so when she sits in the Oval with Fitz and Mellie, she goes on about how awful she feels for Clarence, how she can’t imagine his losing his son, how she would just die if that happened to her…all before she remembers who she is speaking to – the parents who recently lost their own son Jerry. Which is exactly why Olivia brings Clarence straight over to meet Fitz, where Clarence finally breaks down as he is embraced by the President of the United States. A nice job was done with the acting in this episode as Scandal took a break from its normal craziness to address a social issue. Next week it looks to return to the insanity we’ve all come to expect from this show. If you watched, what did you think?